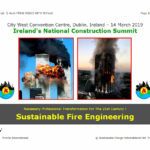 Sustainable Fire Engineering – Recent Dublin Presentations ! 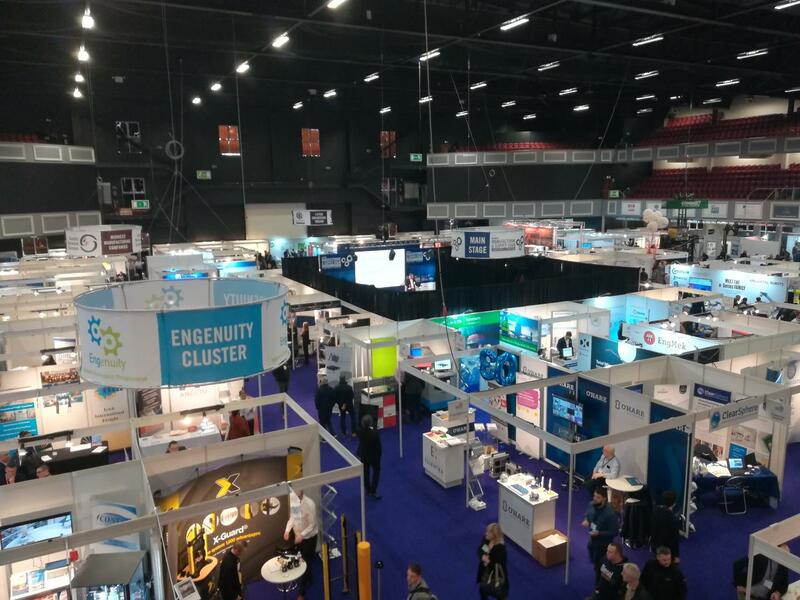 2019 City West Summits, Dublin – Colour photograph showing the view over the Exhibition Hall. Click to enlarge. 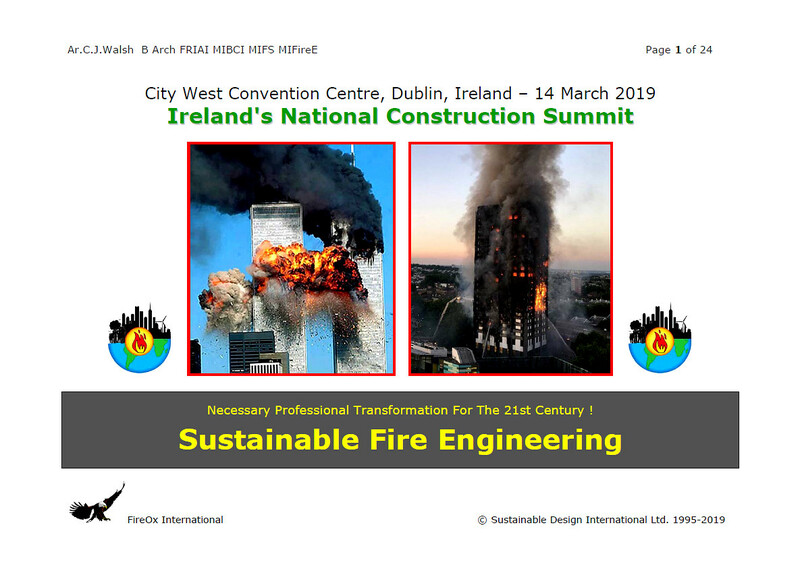 I was very pleased to make a Presentation at both events, adapted to suit an Irish context, on … ‘Sustainable Fire Engineering – Necessary Professional Transformation For The 21st Century’ … which continues to evolve. Sustainable Fire Engineering: The creative, person-centred and ethical Fire Engineering response, in resilient built form and smart systems, to the concept of Sustainable Human and Social Development … the many aspects of which must receive synchronous and balanced consideration ! Annual Fire Losses, both direct and indirect, amount to a very significant percentage of Gross Domestic Product (#GDP) in all economies, whether they are rich or poor … and result in enormous environmental devastation and social disruption. Some losses have not yet been fully identified, e.g. environmental impact … while others are not yet capable of being fully quantified, e.g. business interruption, brand and reputation damage. Globally, fire statistics still remain unreliable. In all cases, however, the waste of valuable human and natural resources caused by preventable fires is unsustainable and no longer acceptable. From an entirely different perspective … Sustainable Buildings are presenting every society with an innovative and exciting re-interpretation of how a building functions in response to critical energy, environmental, climate change and planetary capacity pressures … an approach which has left the International Fire Engineering and Firefighting Communities far behind in its wake, struggling to develop the necessary ‘creative’ and ‘sustainable’ fire safety strategies. The Aim of Sustainable Fire Engineering (#SFE) is to dramatically reduce direct and indirect fire losses in the Human Environment (including the social, built, economic, virtual, and institutional environments) … to protect the Natural Environment … and, within buildings, to ensure that there is an effective level of Fire Safety for All Occupants, not just for Some, over the full building life cycle. Fire Safety for ALL, not just for Some. Nobody left behind ! Firefighter Safety. Everyone goes home ! It is easy to dramatically improve firefighter safety with building design. So, why haven’t NIST’s 2005 and 2008 WTC 9-11 Critical Recommendations been properly implemented anywhere ? Property Protection. Fire damage and post-fire reconstruction/refurbishment are a huge waste of resources. On the other hand, protection of an organization’s image/brand/reputation is important … and business continuity is essential. Heritage fire losses can never be replaced. Building Innovation, People and Their Interaction. Fire engineers and firefighters must begin to understand today’s new design strategies. Sustainable Design and Engineering. Wake up and smell the coffee ! Legislation can only achieve so much. Spatial planners, building designers and fire engineers must subscribe to a robust Code of Ethics * which is fit for purpose in the Human Environment of the 21st Century. Resilient – functioning must be reliable during normal conditions, and include the ability to withstand, adapt to and absorb unusual disturbance, disruption or damage, and thereafter to quickly return to an enhanced state of function. 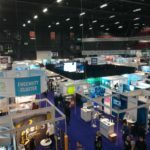 * Refer to the 2016 Dublin Code of Ethics: Design, Engineering, Construction & Operation of a Safe, Resilient & Sustainable Built Environment for All (PDF File, 112 kb).